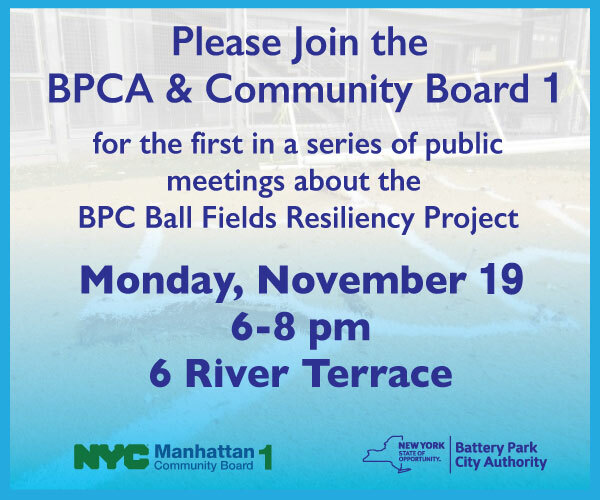 Please join BPCA and Manhattan Community Board 1 for the first in a series of public input sessions about the BPC Ball Fields Resiliency Project. Meeting will include an introduction to the project with design firm STV and full Q&A session. For more information about Battery Park City’s resiliency initiatives click here.